Cute Cheerleading Gift Ideas available in various styles and finishes. Silver Plated and Gold Finishes come in Square and Round Styles in sizes Large, Medium and Small. The Locket style Cheer Necklaces come in one size but Three finishes, Gold, Silver and Sterling Silver. Also available in EVERY design is the Small and Medium Round Cheer Necklace Sterling Silver finish. 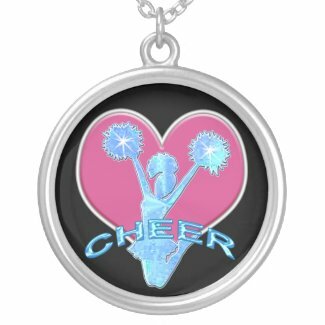 Look to your right below the Personalize it area in the Style Options section for all your choices of Cheerleader Necklaces styles. If you see any changes you would like me to make for you, please don’t hesitate to call me at: 239-949-9090. Jump on the Keep Calm and Carry On phenomenally popular band wagon. Lots of different versions of this super popular Keep Calm design. Great Cheer Squad Gifts. 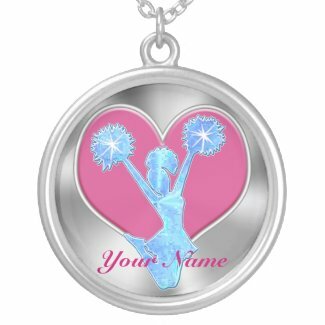 Personalize EACH Cheerleader Keychain separately for special Cheerleading Team Gifts. 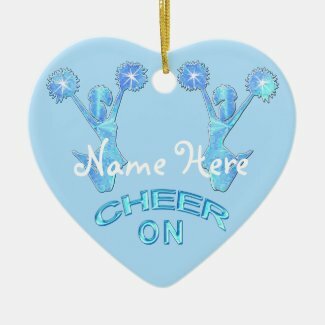 Nice Cheer Gifts Under $5. $3.65 Each with Bulk Prices starting with only 10 Cheerleading Keychains. More Cheer Gifts Under $5. 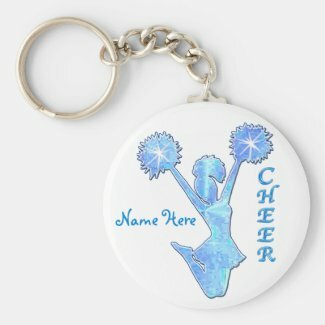 Great for Cheerleading Team Gifts. To see ALL Custom and Personalizable Gifts of my Zazzle Gifts and Original Little Linda Pinda Design, please visit my shop: Once you are at the main page of my shop, Click On the Individual Product Category Image and when available, click on the Sub-Category Image near the top of each Category. Links are also located on the left side of the page. Nearly 300,000 views. Could these be the best cheer stunts in the world? You decide. Work2Win1 held a contest on her site and this was the winning video for the best cheer stunts ever. I am so pleased that Cheerleading is now considered a real sport. Many years ago, many people didn’t. Cheerleading is not only dance moves but co-ordination of moves and incredible skill and dedication. Very long training hours are put in to get everything just right. Watch the video above to see some fantastic cheers. Cheerleaders are among the top Emergency Room visits due to the extreme competitiveness of the sport and risky daring moves. Please put the safety of your team first. Please CALL or TEXT me for custom order requests. I can easily change any of my designs or colors of the backgrounds and the text or put a design you like on a different product. No extra charges for custom orders. After I design your personalized cheer gifts, you will receive a preview. 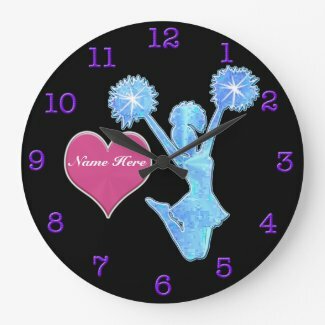 Then, if you decide you would like to purchase the the cheerleader gift, I will send you a Zazzle Link to that cheerleading gift. No obligation to buy. I love helping you make a gift that will bring great big smiles and warm their hearts. Great cheerleading Christmas gifts and end of season gifts too. Thank you so much for considering Little Linda Pinda Designs to create your personalised cheer gifts.